Black and white. The pattern is to emulate bamboo. The Deva mobius poncho can be worn multiple ways. 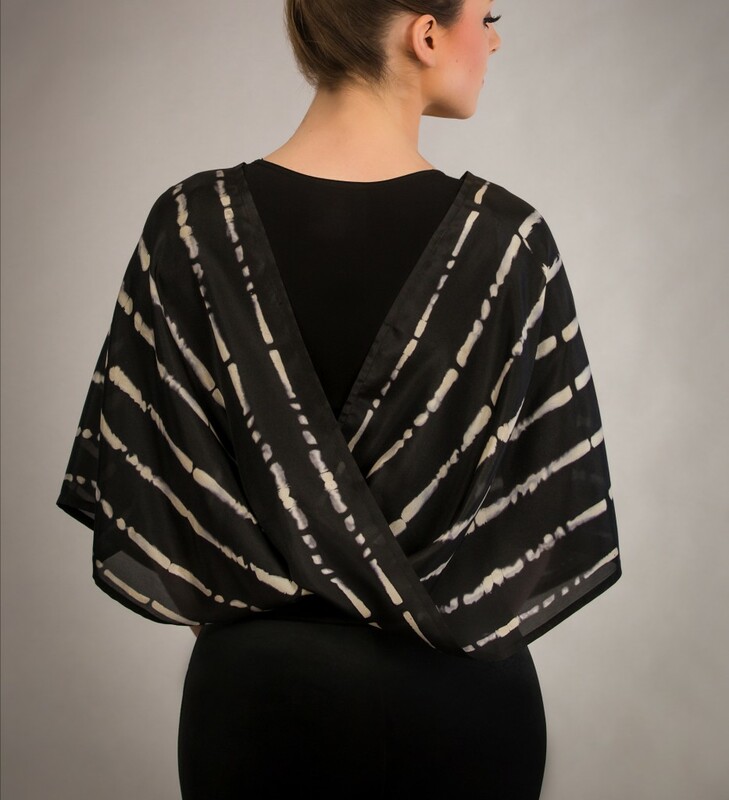 The twist can be worn in the back as shown, in the front or the poncho can also be worn as an infinity scarf.